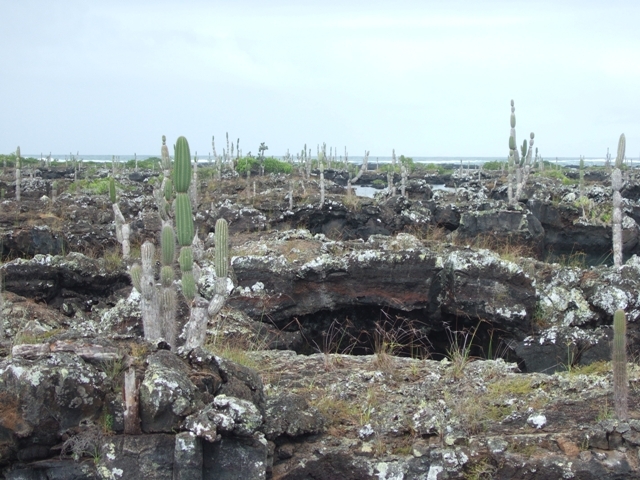 Los Tunelos are on the southern cost of Isabela and are a large area of lava tunnels where the roofs have collapsed, leaving a landscape of lava islands and bridges. Getting to them was quite a challenge. Along with 2 other couples we hired a local boatman to take us there in his open boat with 2 big, but old, outboard motors. 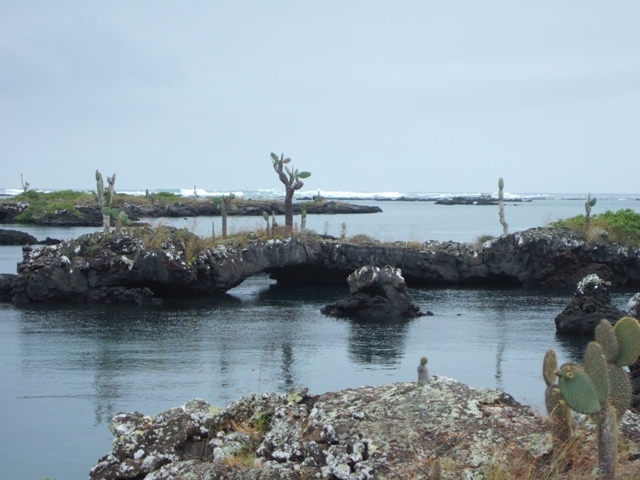 It was about a 45 minutes trip to get there crossing the open sea and big swells, The Los Tunelos coast is open to the wind and swell and is protected by a huge area of big breakers. To get into the flat water the boat has to negotiate a way through the breakers. They do this by patrolling outside the breakers waiting for an area where the waves have broken. Our man waited 10 minutes or more going up and down and then a gap appeared in the breakers and both outboards were opened right up and we tore ashore to beat the next set of breaking waves. We were told that the trick is not to hesitate once they've decided to go for it. One did a couple of weeks earlier and the boat was rolled over. They lost all their gear and got badly cut feet when scrambling on to the lava rocks. So we were mighty relieved to make it into calm water. 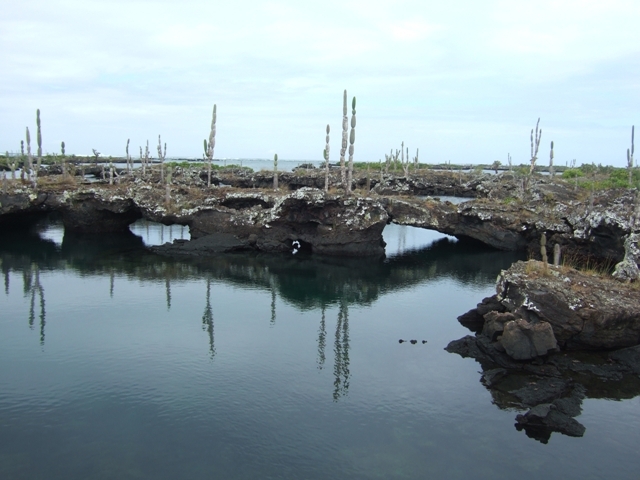 Once in the boatman negotiates the boat around the lava channels, islands and bridges where the water is completely flat and crystal clear. The lava-scape, with the breaking waves in the background. 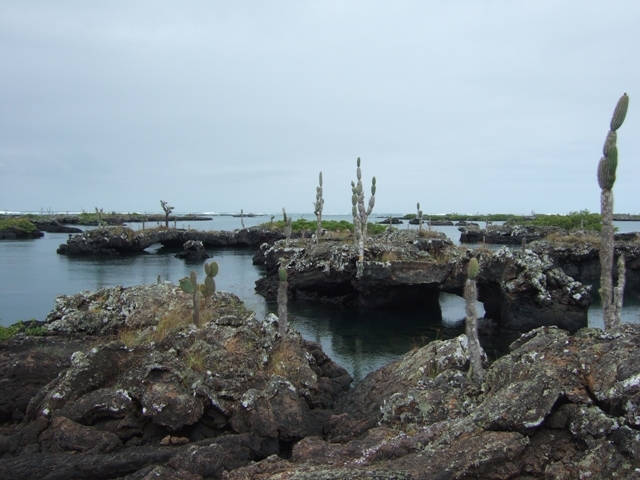 Cactus is the only thing that has managed to establish itself on the lava. 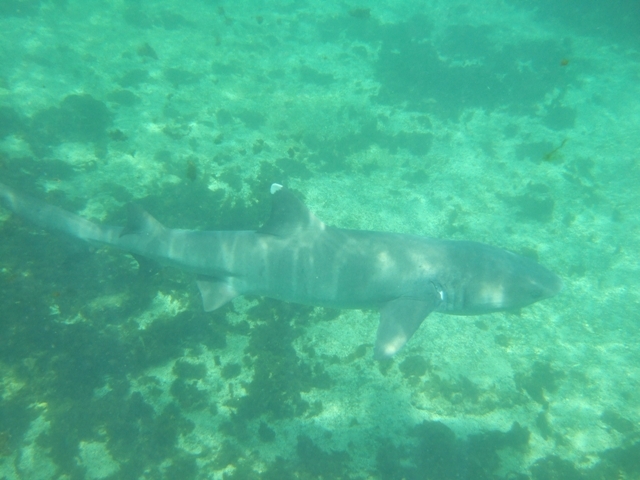 of sharks came past when we were snorkeling. 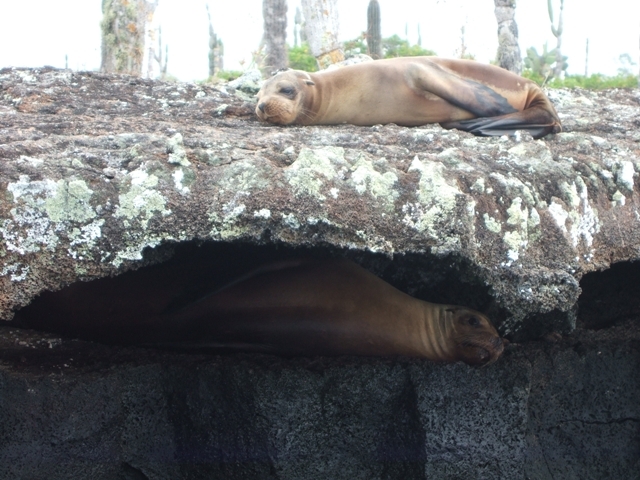 than sealions, have a more dog-like face and definitely have more fur (not surprisingly!). A pup posing for the camera. 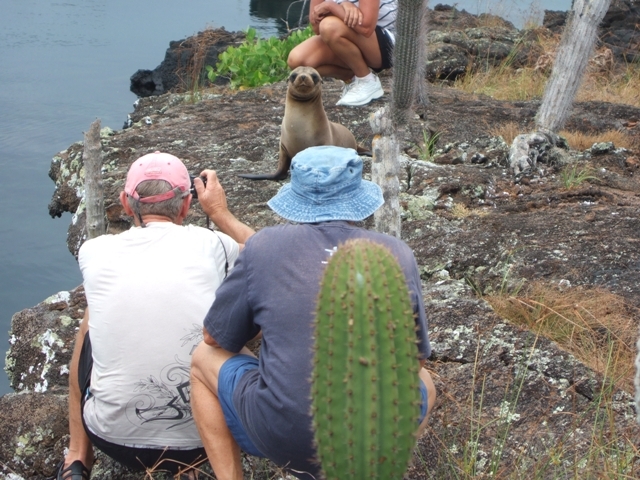 Generally they are a lot shyer than sealions and we saw very few of them.